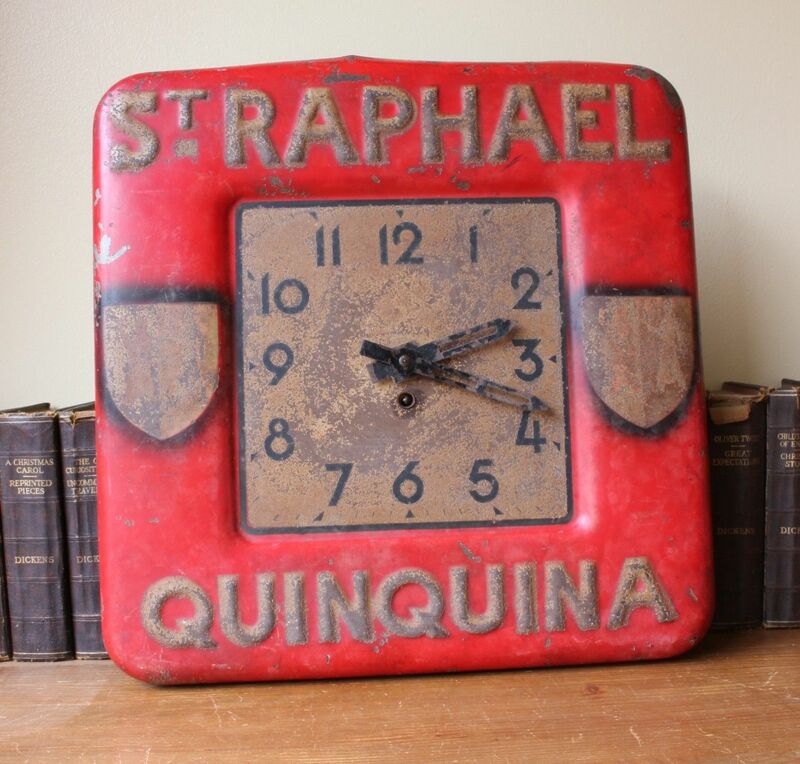 French St. Raphael Quinquina Advertising Art Deco Wall Clock. 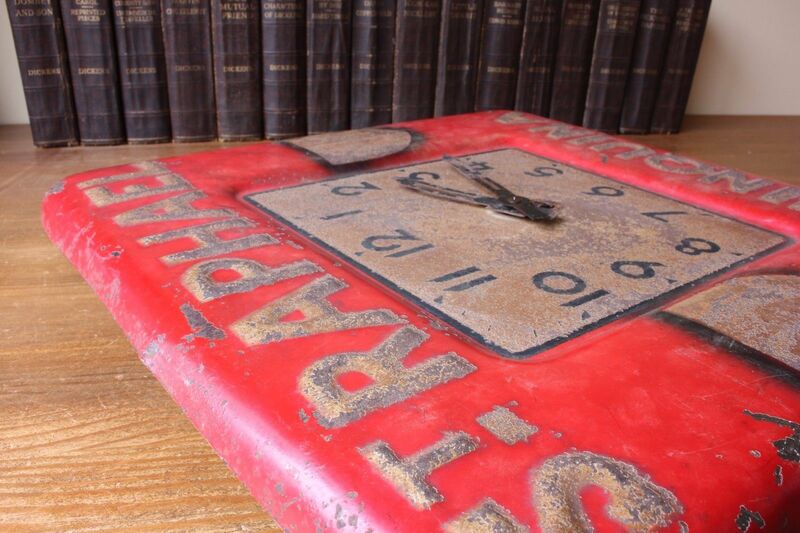 This rare Art Deco advertising wall clock dates from the 1930's and was hung in a French bar to advertise the aperitif drink St. Raphael Quinquina. 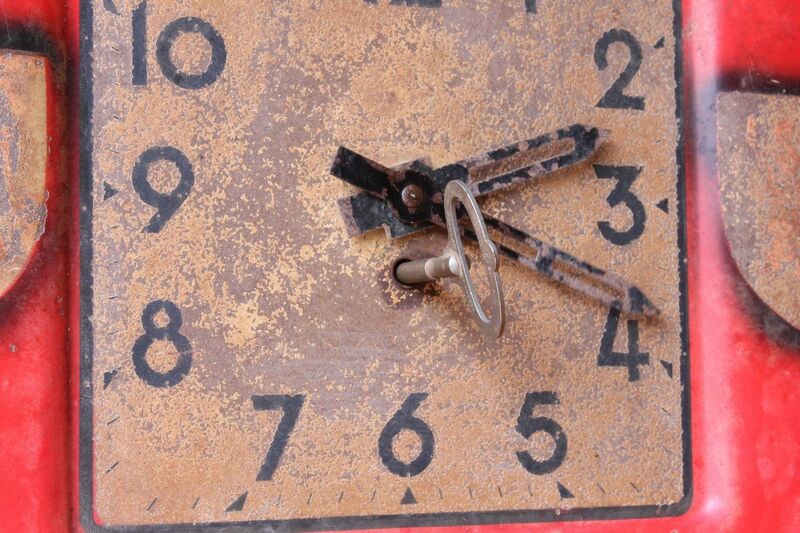 The clock is made of embossed painted metal and is fitted with the original movement which is in working order. 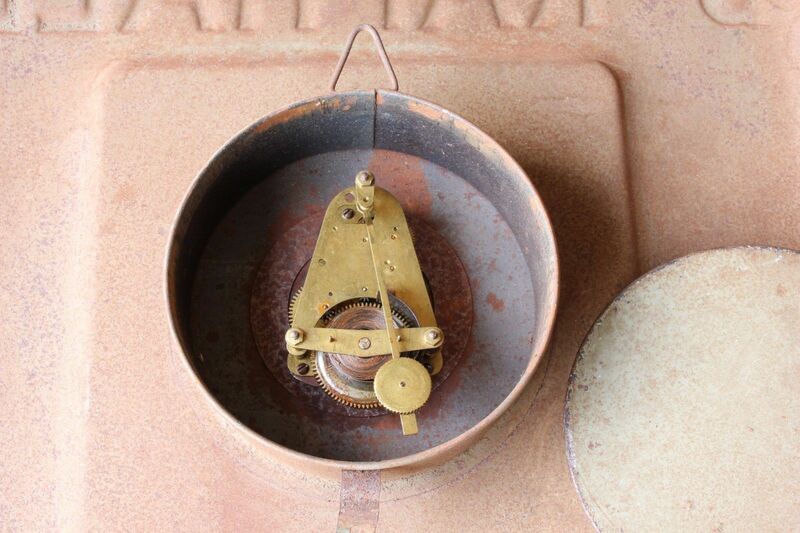 This wind-up clock has been running nicely here for over a week now and is keeping reasonably good time. 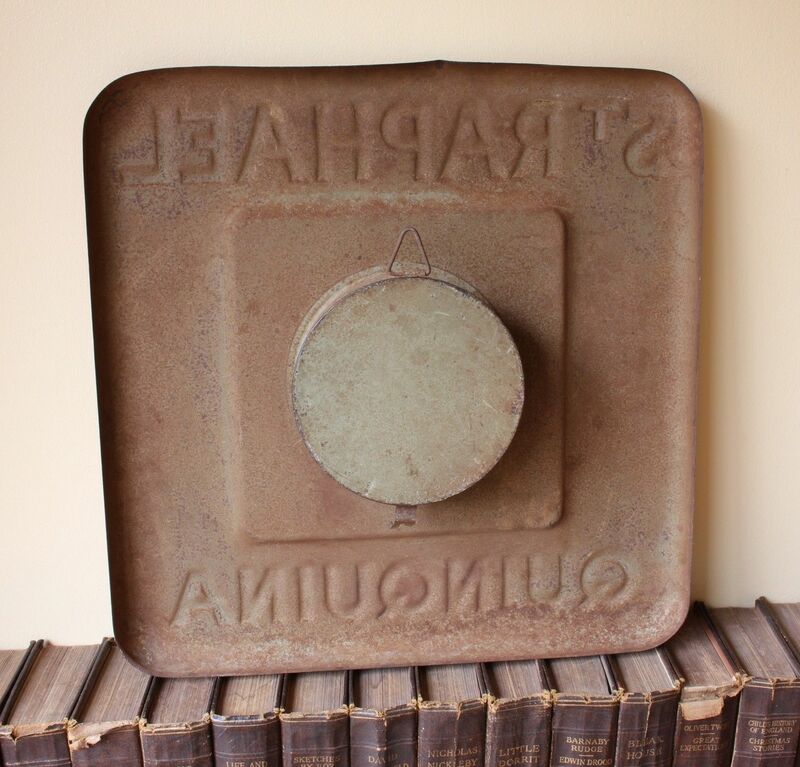 Comes complete with a replacement key. Size: H 40 cm x W 40 cm. H 16" x W 16". 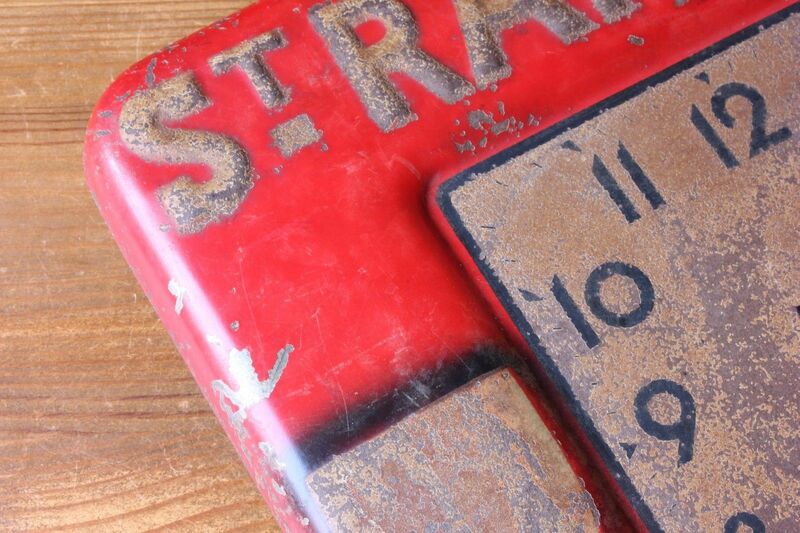 Condition: Original distressed condition with a wonderful patina, dents, rust, wear and scratches. The movement is working fine but does not come with a guarantee. Please see pictures.